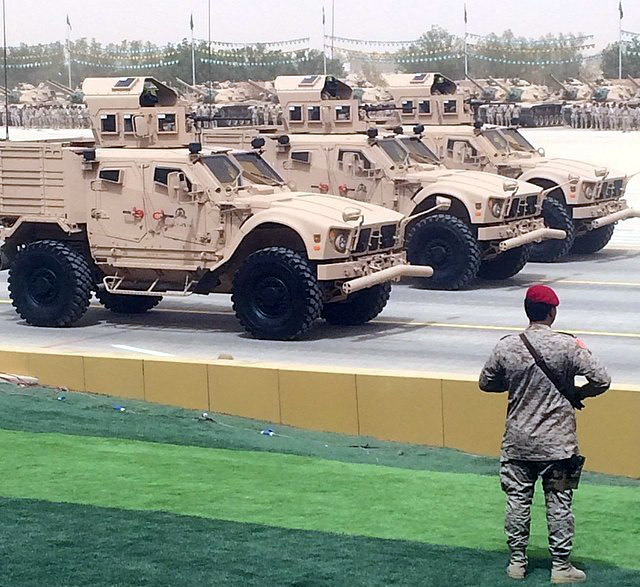 Royal Saudi Land Force M-ATV Special Force Vehicle version MRAPs during the closing parade. 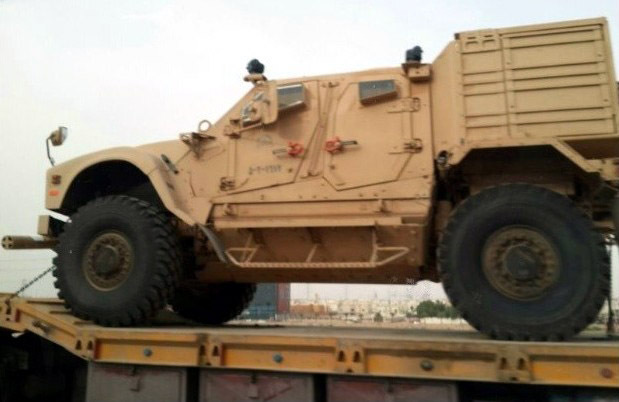 RSLF M-ATV SFV version MRAPs during the closing parade. 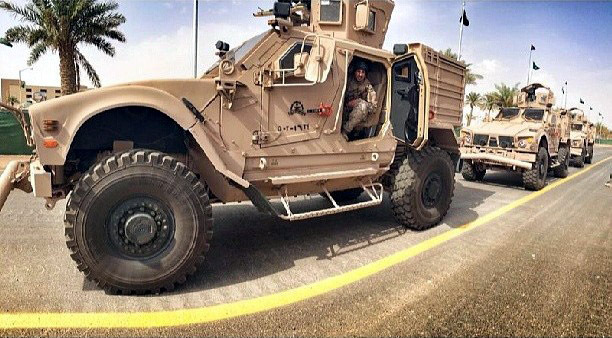 A Royal Saudi Land Force M-ATV Special Force Vehicle version MRAP during the exercise. 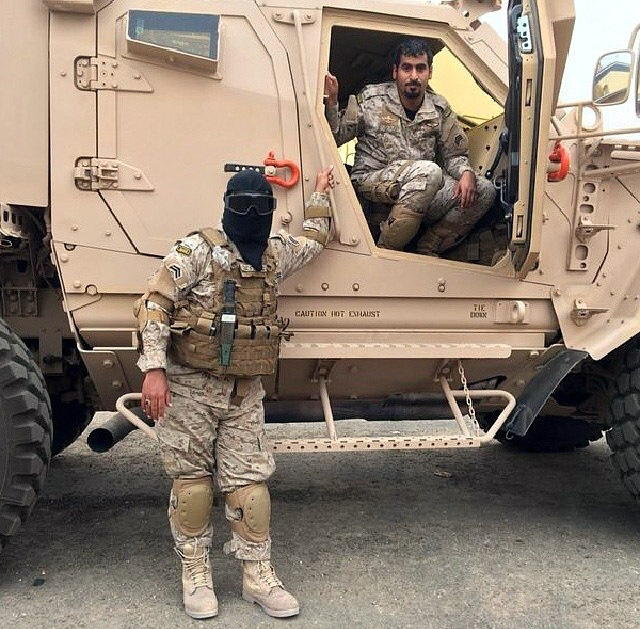 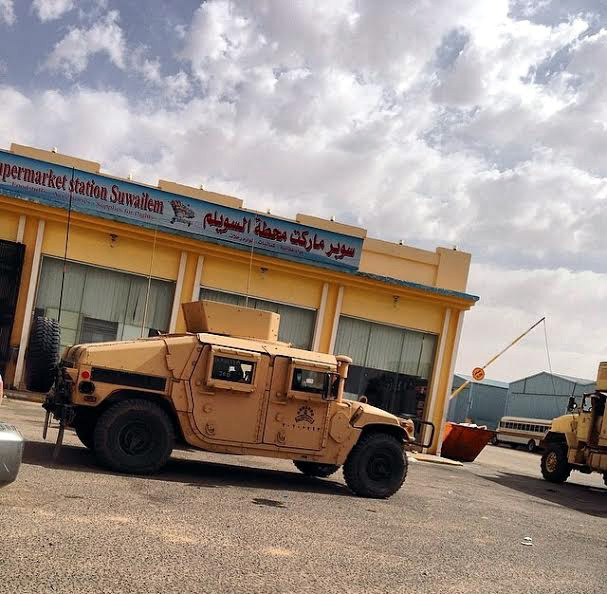 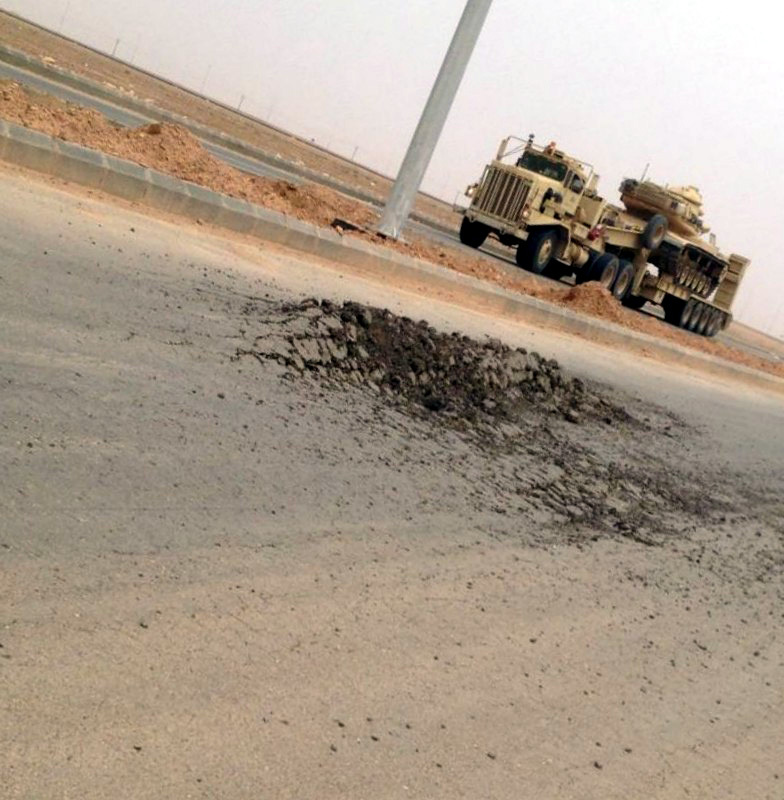 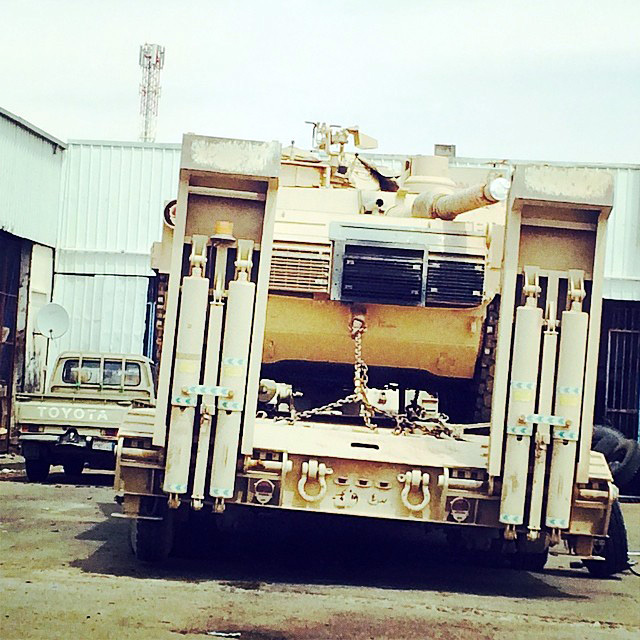 A Royal Saudi Land Force M-ATV SFV version MRAP during the exercise. 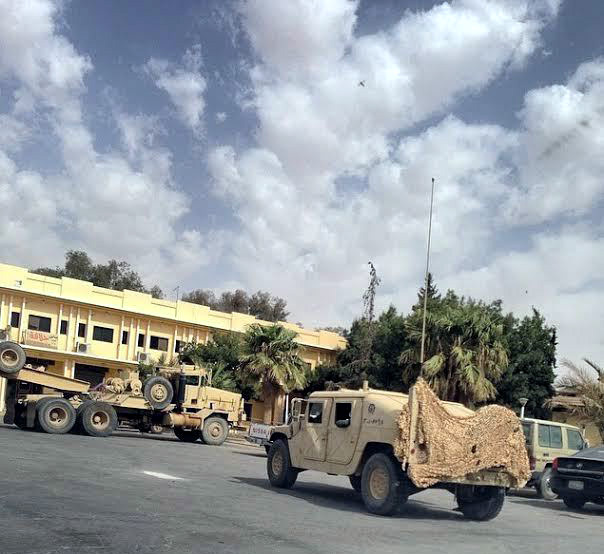 A RSLV M-ATV SFV version MRAP during the exercise. 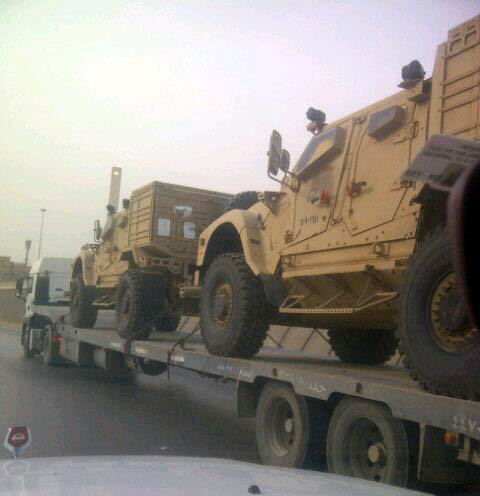 RSLV M-ATV SFV version MRAPs heading for exercise. 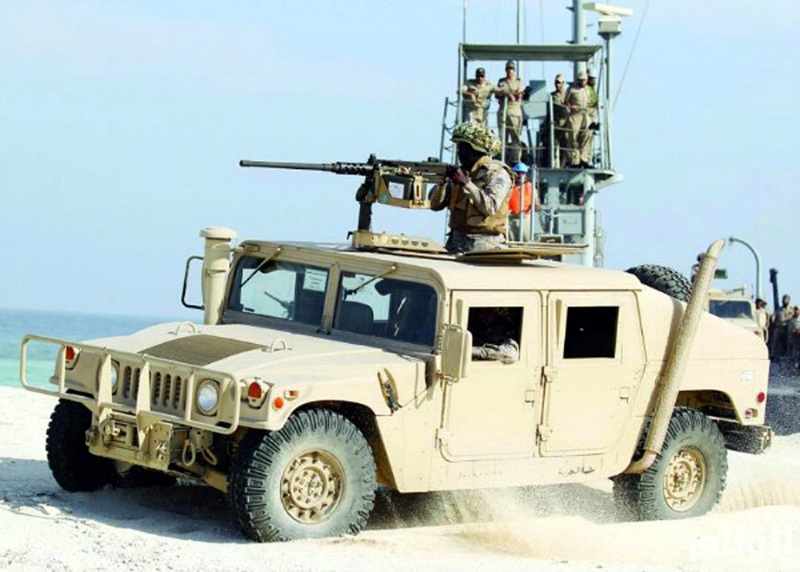 RSLV M-ATV Special Force Vehicle version MRAPs during the exercise. 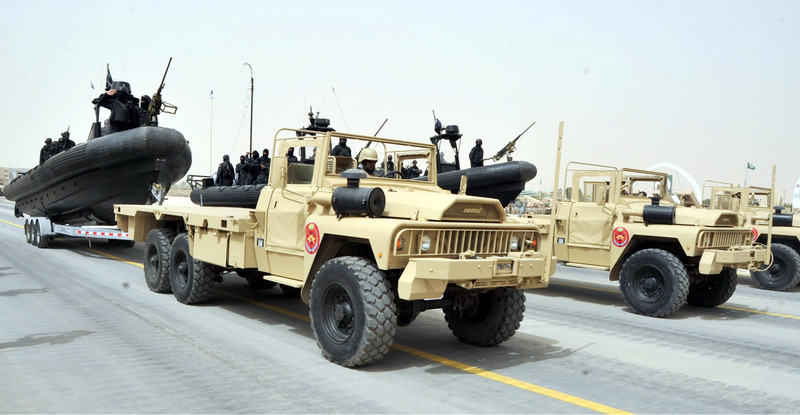 A RSLF M-ATV SFV version MRAP during the closing parade. 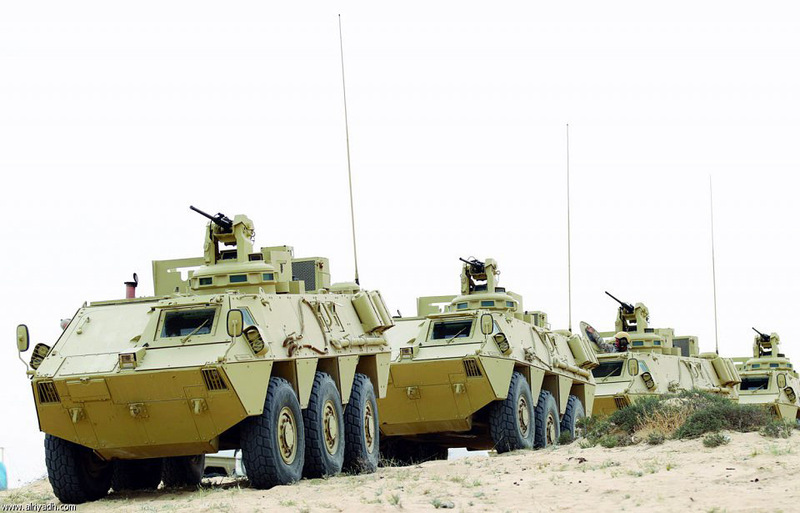 RSLF M1097A2 shelter carrier communication vehicles during the closing parade. 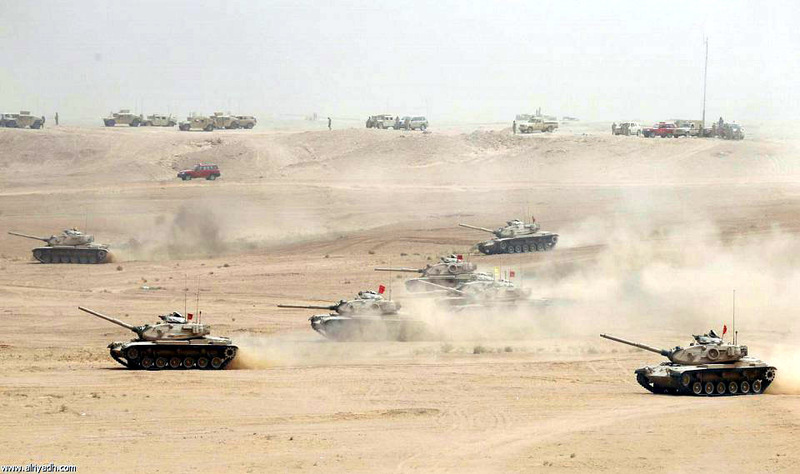 RSLF M1025A2 HMMWVs and M1 Abrams MBTs during the exercise. 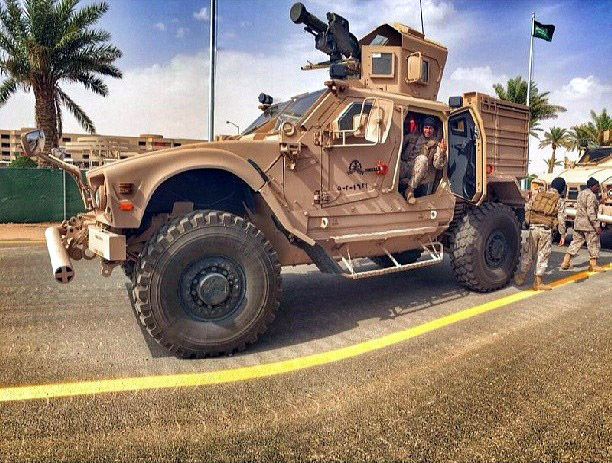 A Royal Saudi Land Force M1025A2 HMMWV during the exercise. 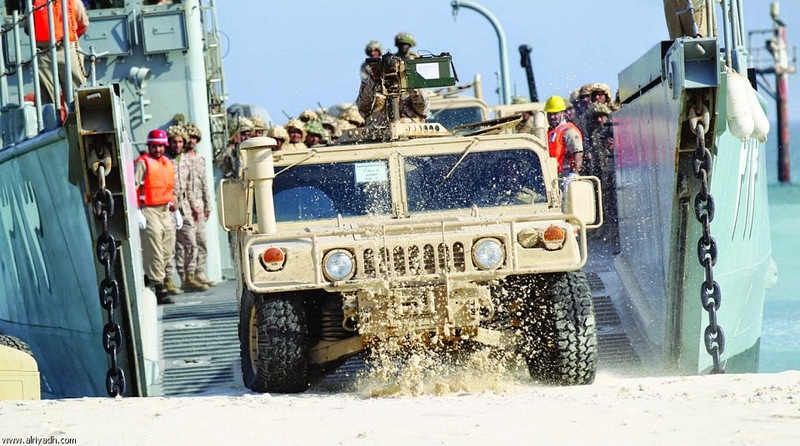 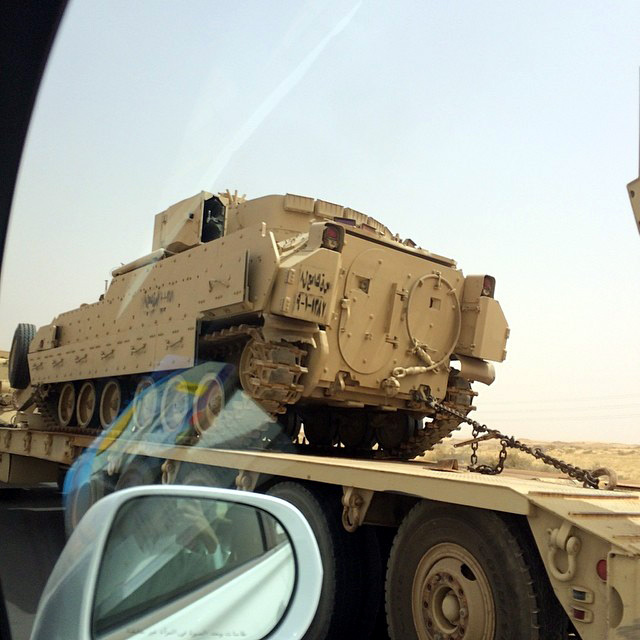 A Royal Saudi Land Force M1044 HMMWV disembarking. 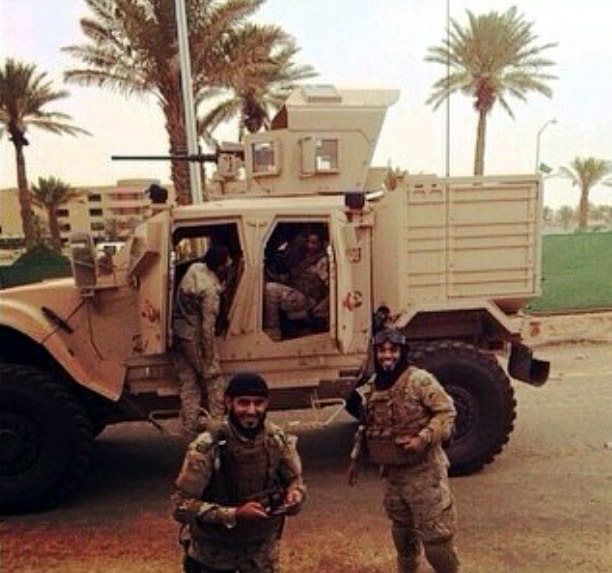 A Royal Saudi Land Force M1151 HMMWV during the exercise. 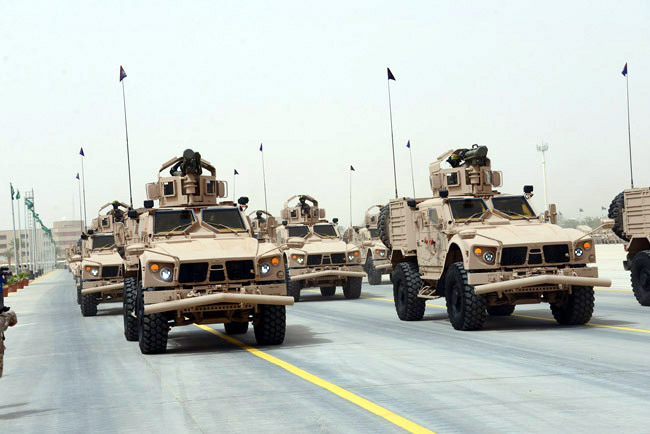 A Royal Saudi Land Force M1151 HMMWV between M728 CEVs and M163 VADs during the closing parade. 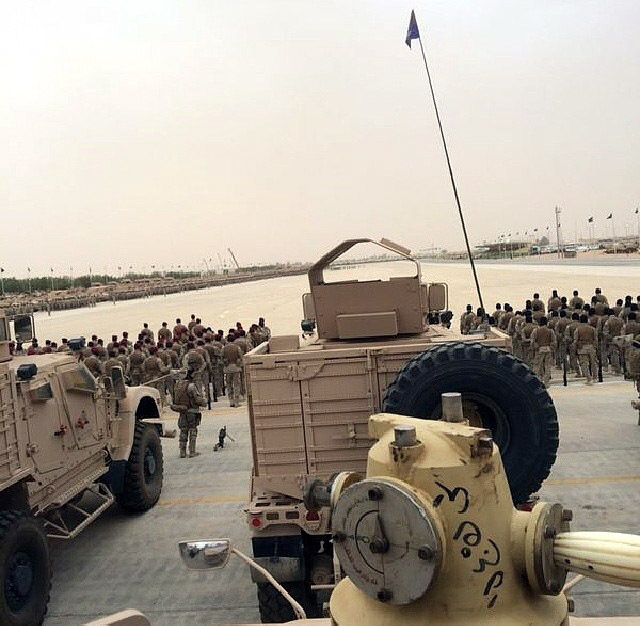 A Royal Saudi Land Force M1151 HMMWV preceding M728 CEVs during the closing parade. 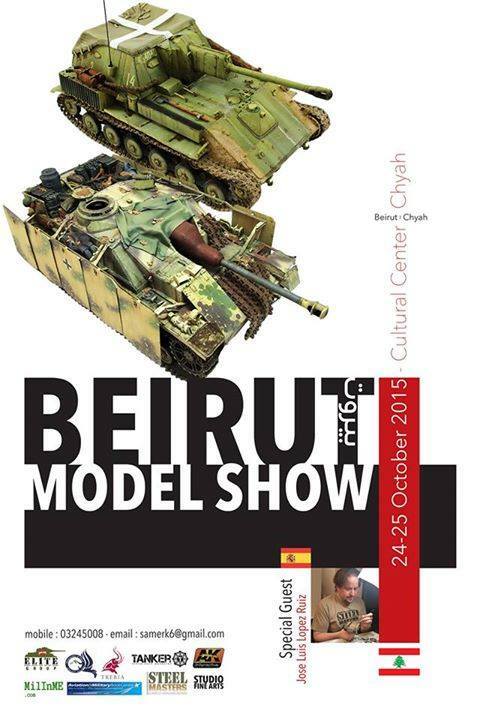 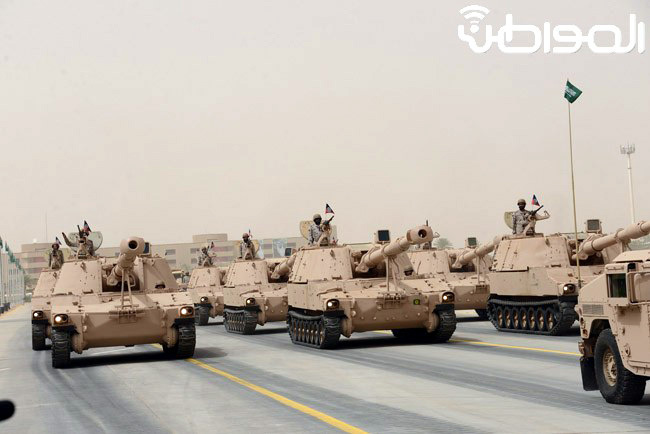 RSLF M60A3 MBTs during the closing parade. 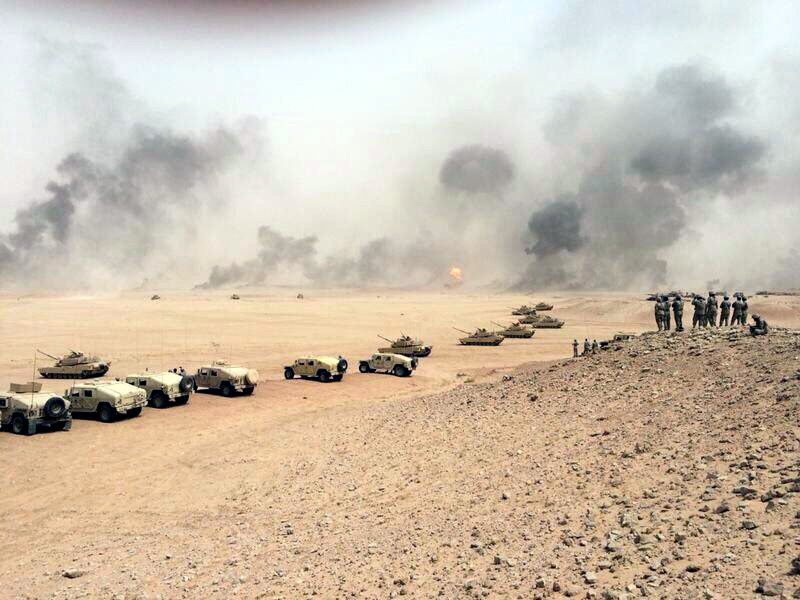 RSLF M60A3 MBTs during the exercise. 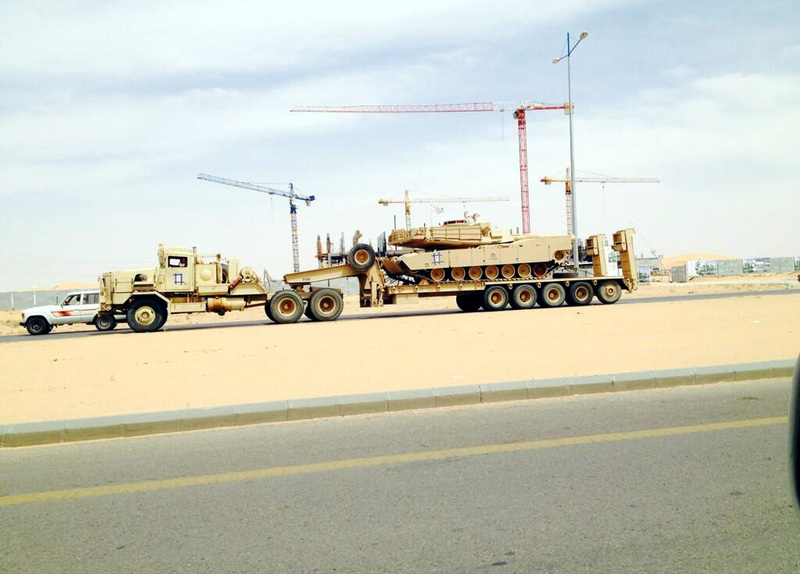 RSLF M60A3 MBTs heading for the exercise. 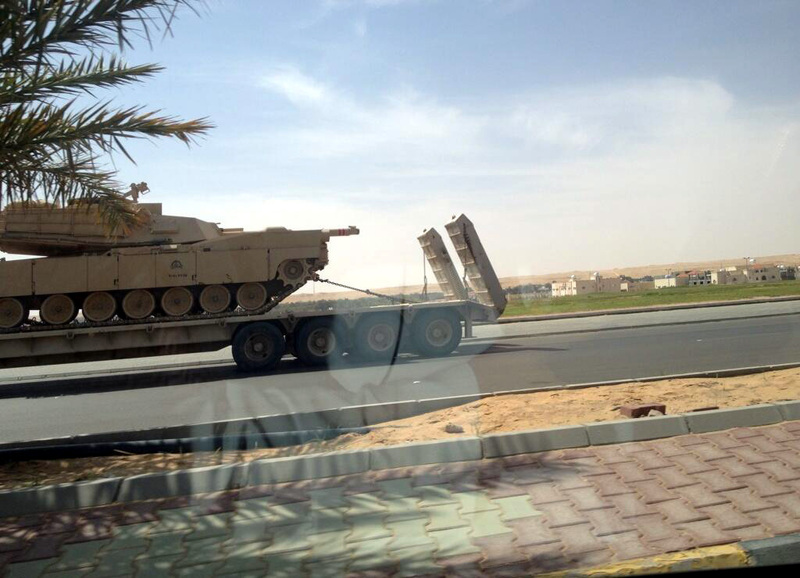 RSLF M60A3 MBTs transported by an M911 tank transporter heading for the exercise. 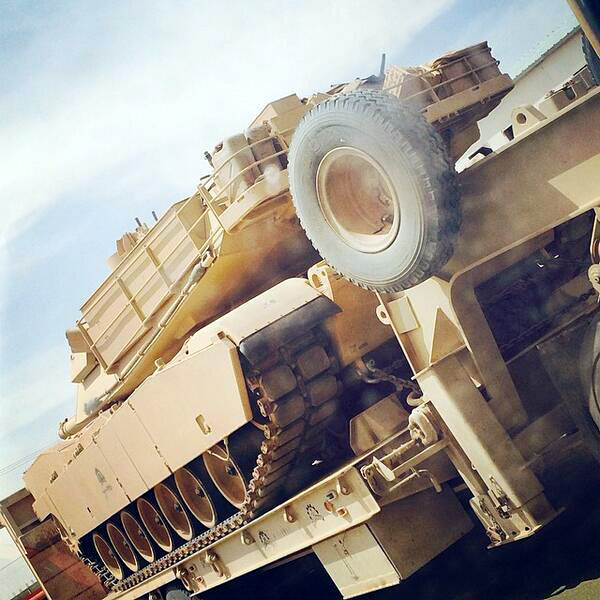 A RSLF M1A2 Abrams MBT heading for the exercise. 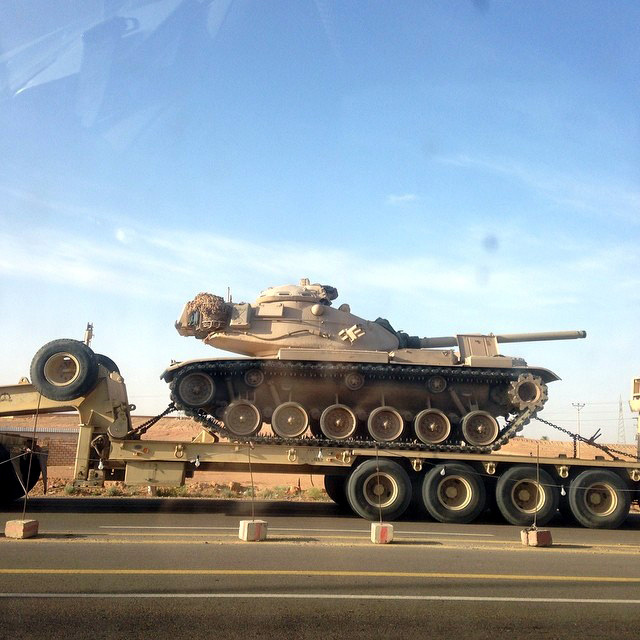 A RSLF M1A2 Abrams MBT transported by an M1070 tank transporter heading for the exercise. 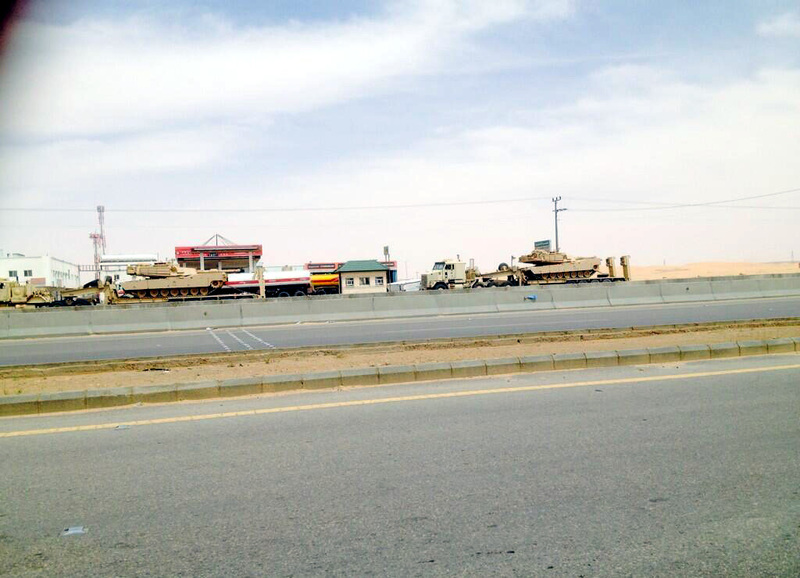 RSLF M1A2 Abrams MBTs heading for the exercise. 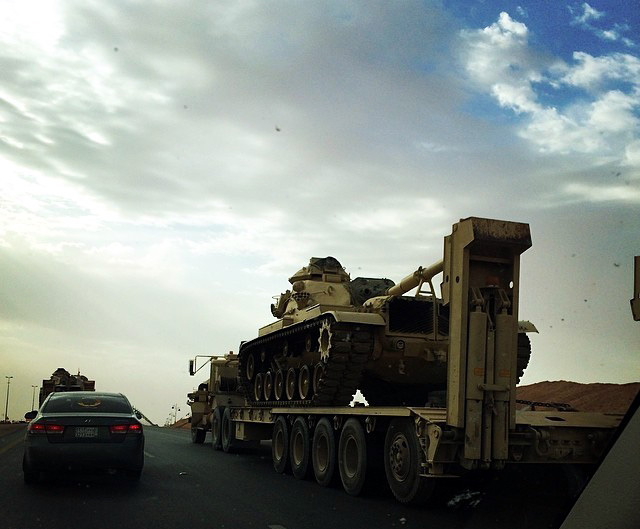 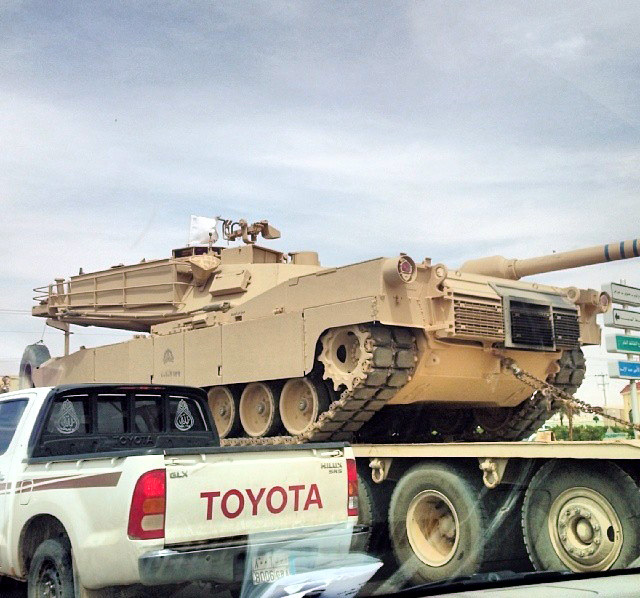 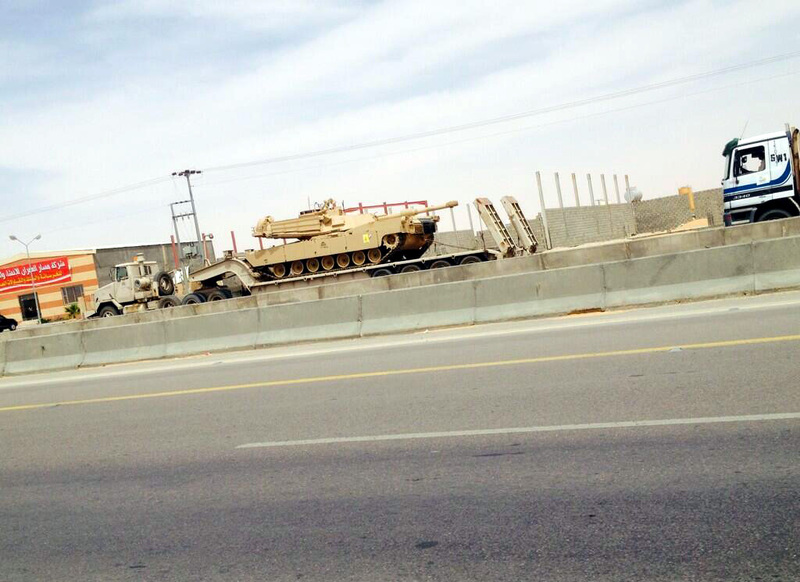 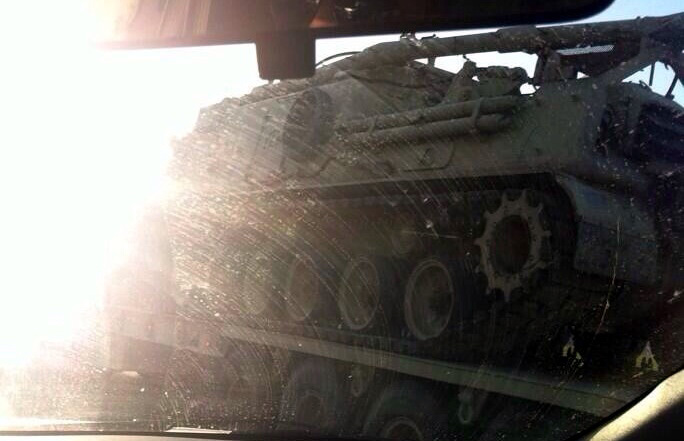 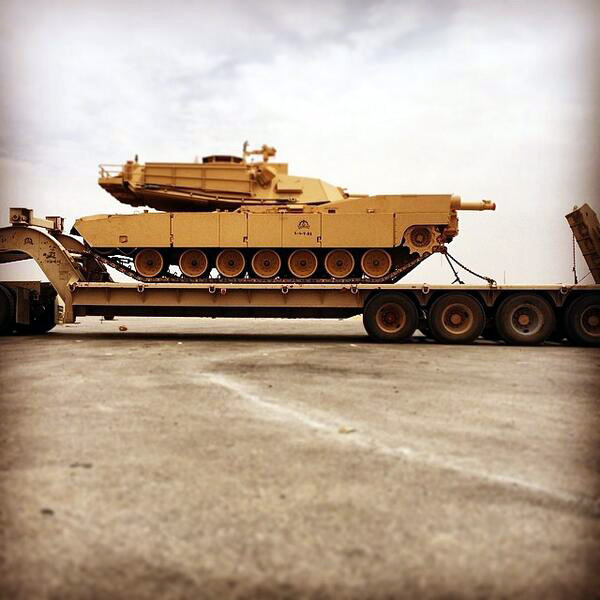 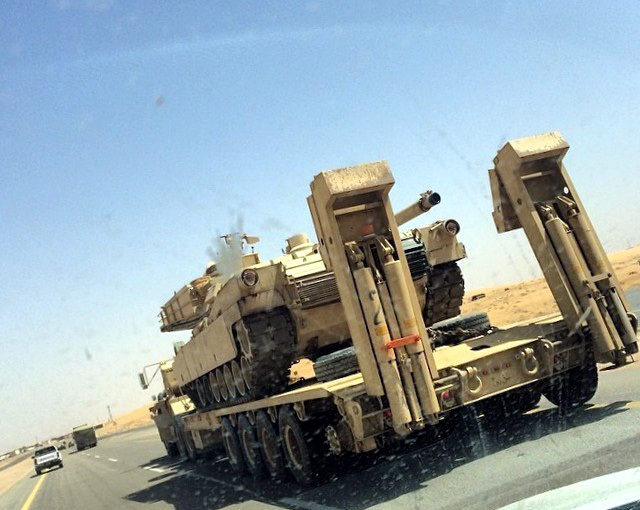 A RSLF M1A2 Abrams MBT transported by an M911 tank transporter heading for the exercise. 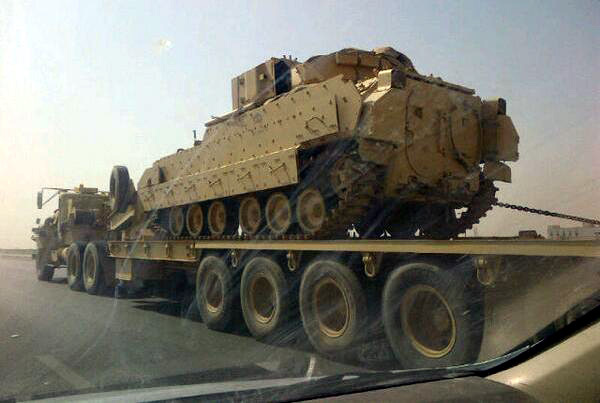 A RSLF M2A2 Bradley IFV heading for the exercise. 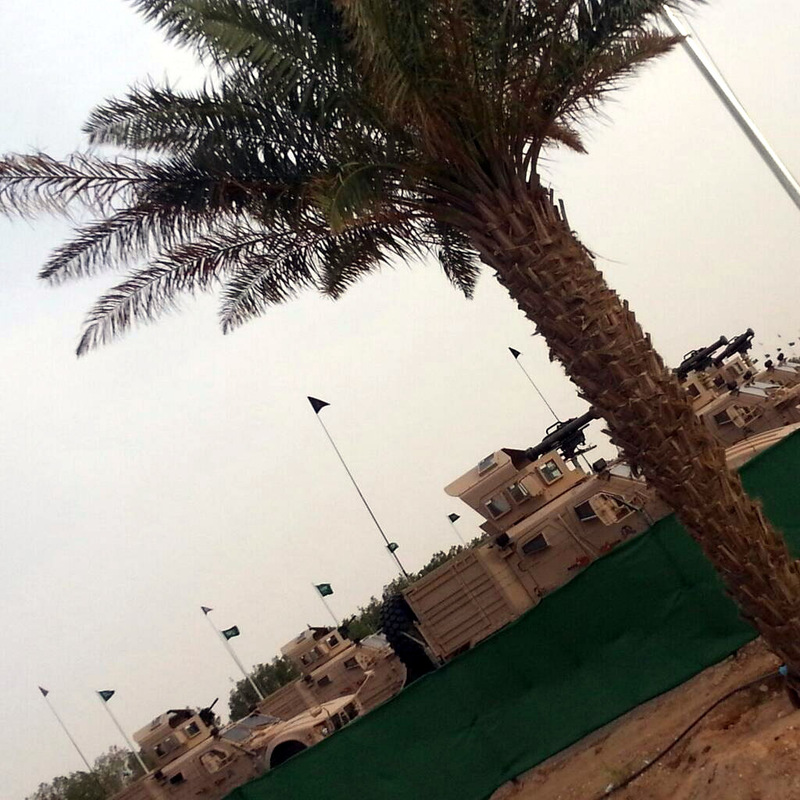 RSLF M2A2 Bradley IFVs heading for the exercise. 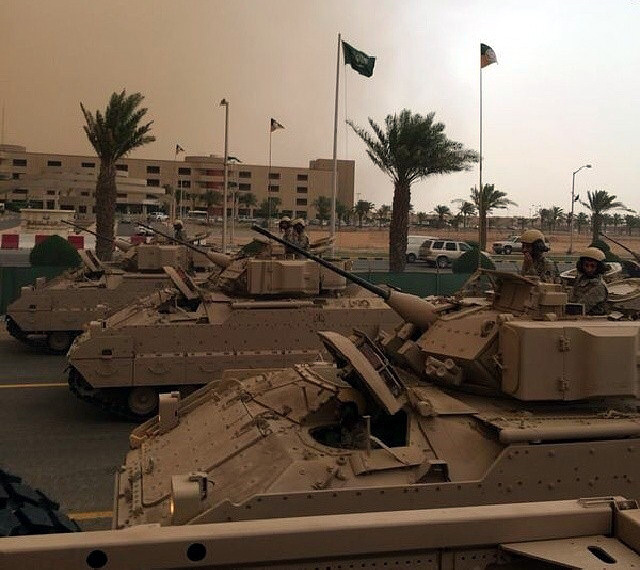 RSLF M2A2 Bradley IFVs during the closing parade. 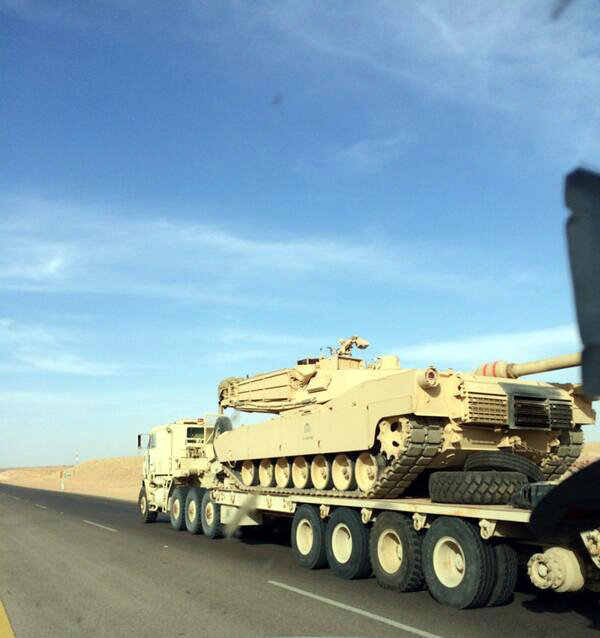 A RSLF M88A1 ARV heading for the exercise. 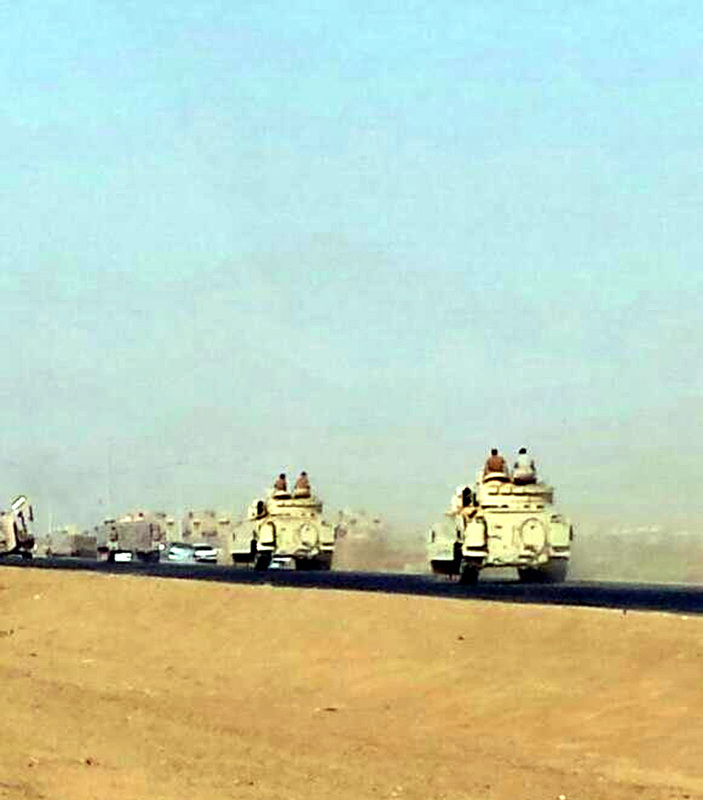 RSLF M109 SPHs during the closing parade. 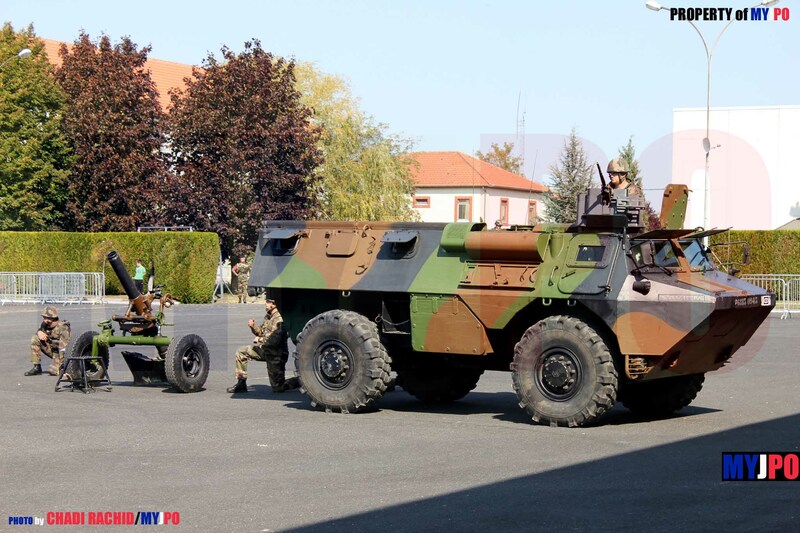 A RSLF M992 FAASV heading for the exercise. 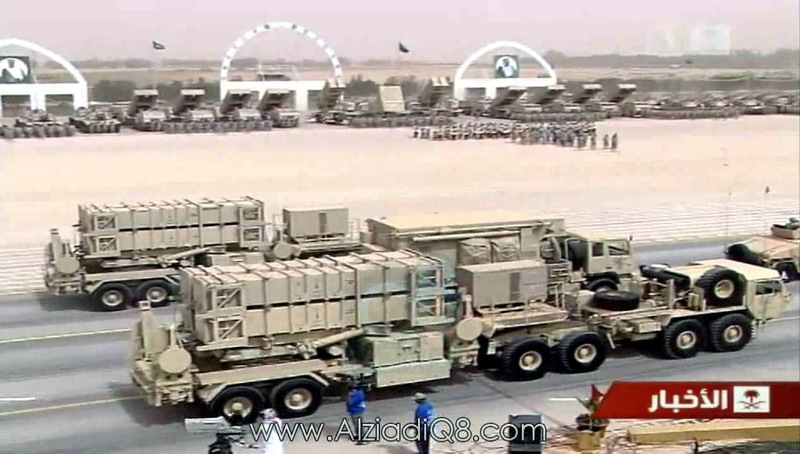 RSLF Astros II MLRSs during the closing parade. 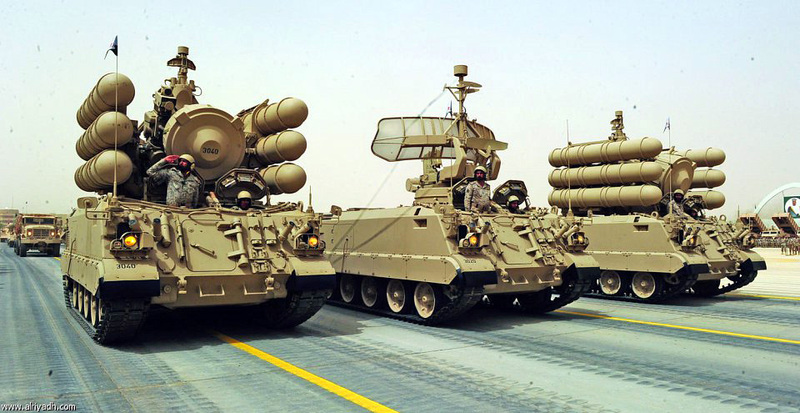 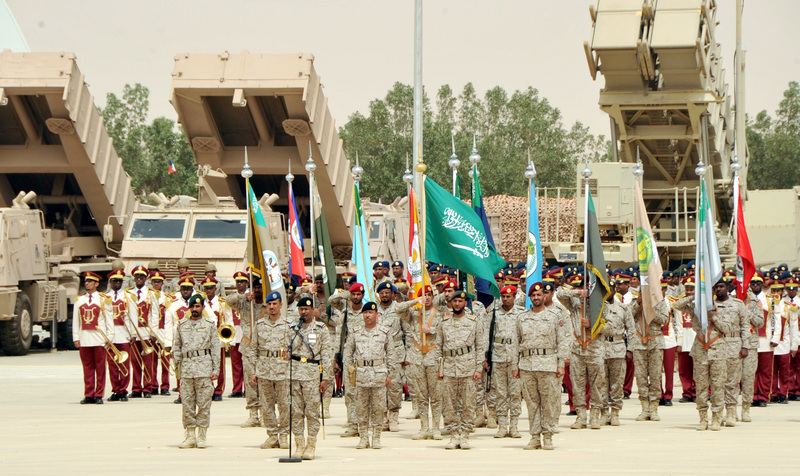 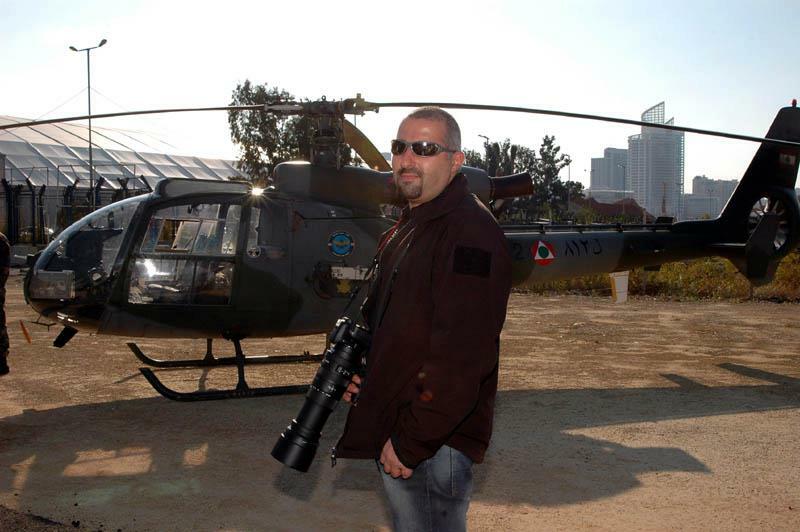 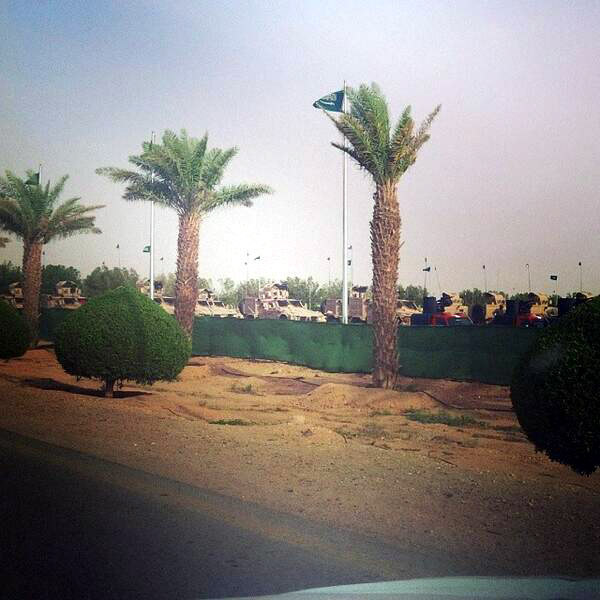 Royal Saudi Air Defence Shahine firing and acquisition units during the closing parade. 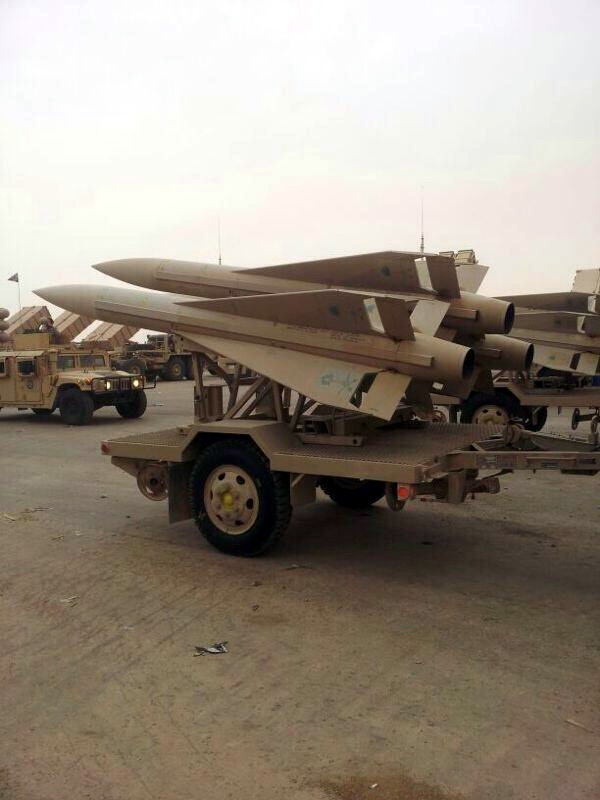 The Royal Saudi Air Defence MIM-23 Hawk during the closing parade. 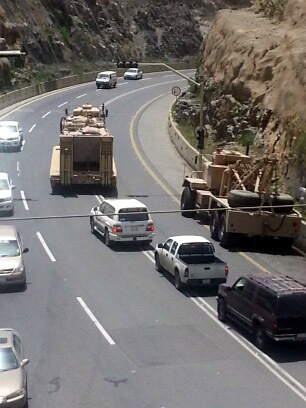 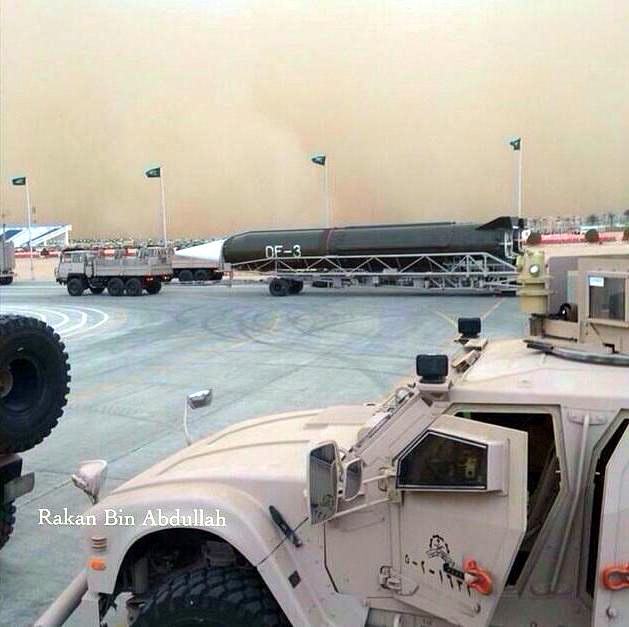 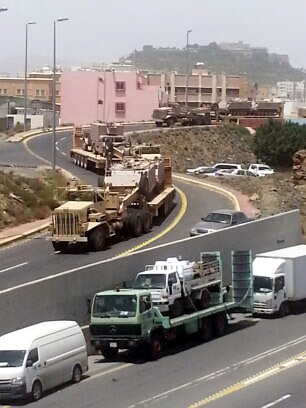 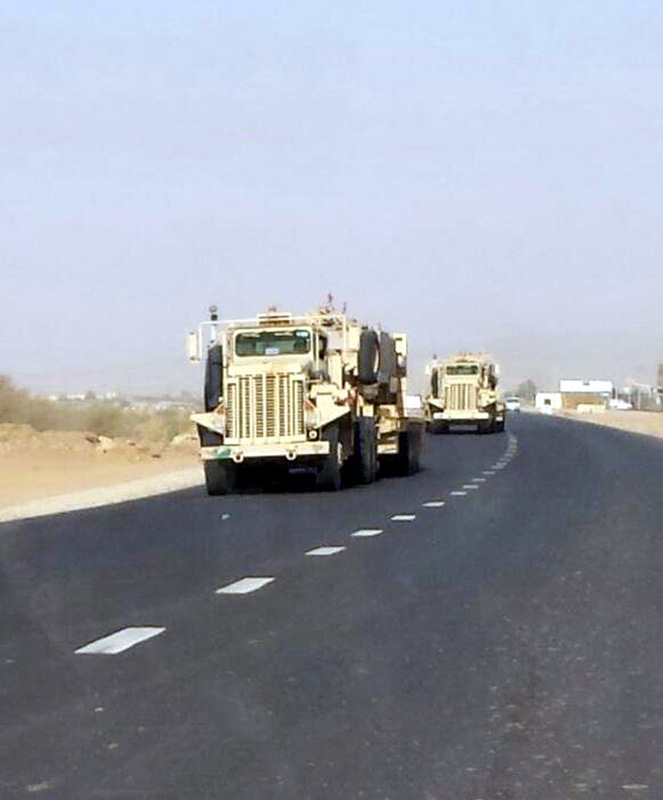 Royal Saudi Air Defence MIM-23 Hawk towed by M923A1 trucks during the closing parade. 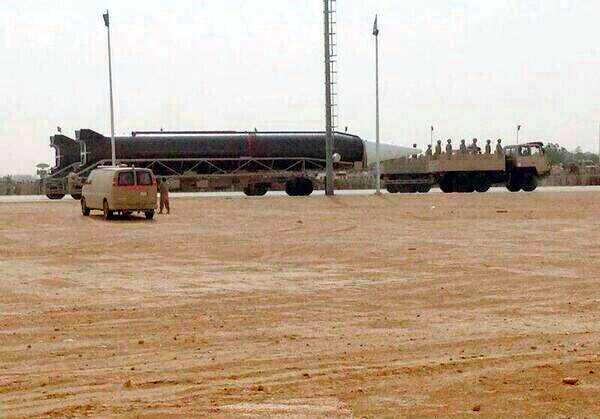 Royal Saudi Strategic Missile Force DF-3A balistic missile towed by Steyr 6×6 trucks during the closing parade. 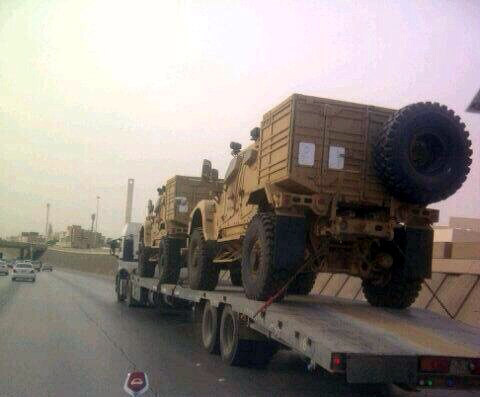 A RSLF M934 Expansible van truck and M977 cargo trucksheading for the exercise. 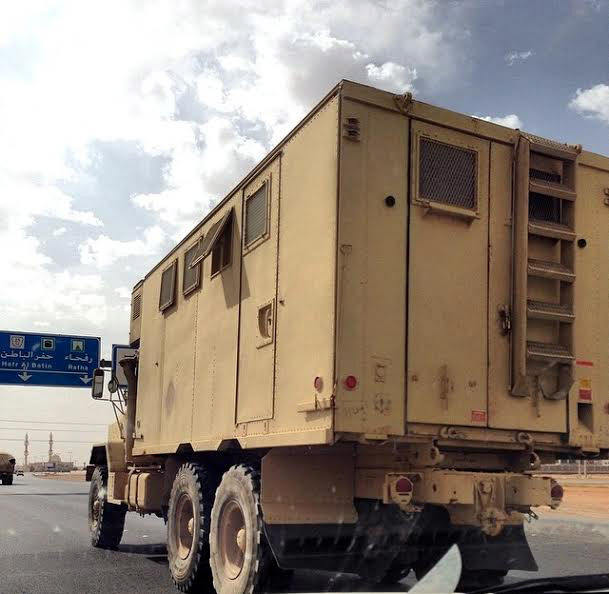 A RSLF M934 Expansible van truck heading for the exercise. 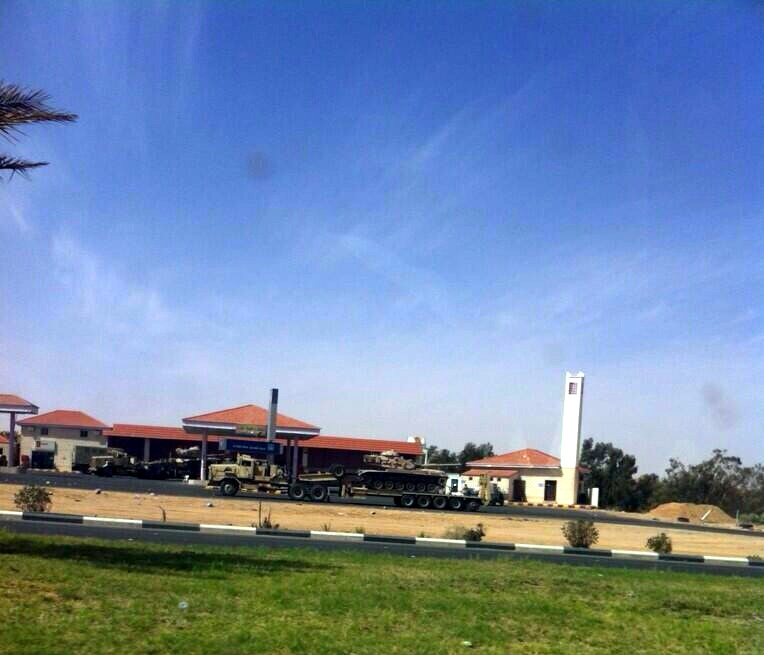 RSLF M911 tank transporters heading for the exercise. 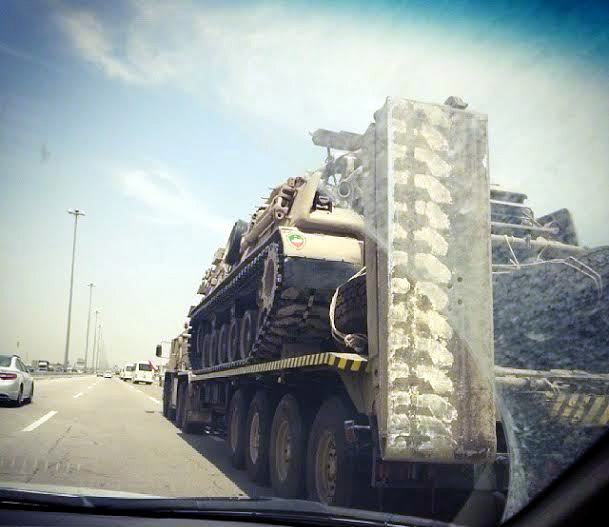 RSLF M911 tank transporters carrying M113A2s heading for the exercise. 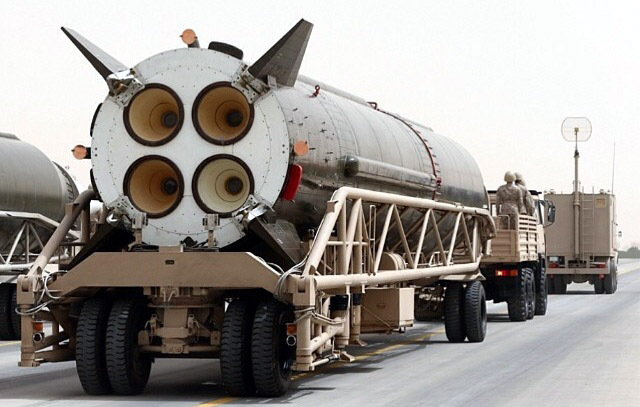 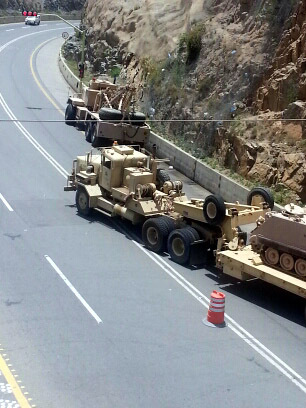 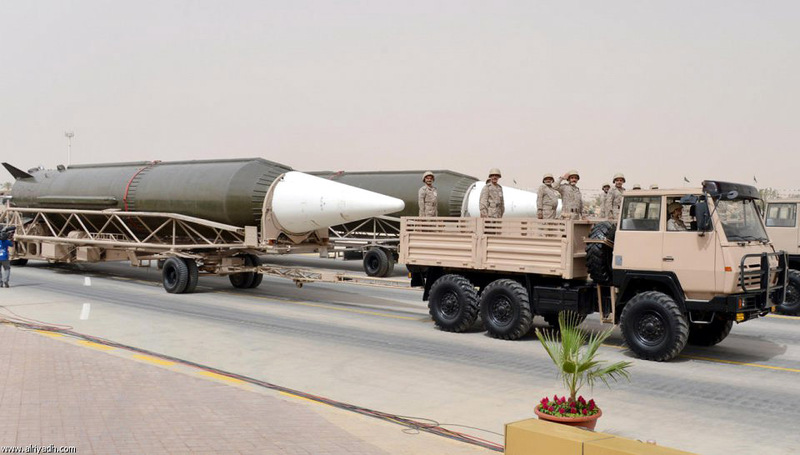 Royal Saudi Air Defence Patriot launching batteries mounted on M860 semitrailer towed by M983 HEMTTs during the closing parade. 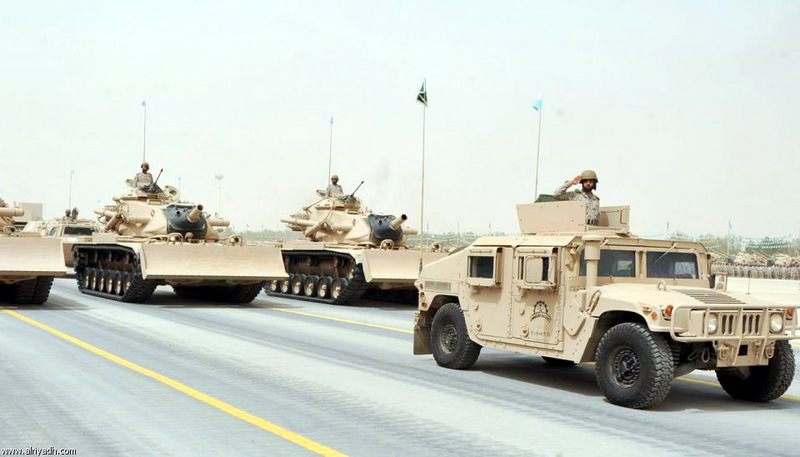 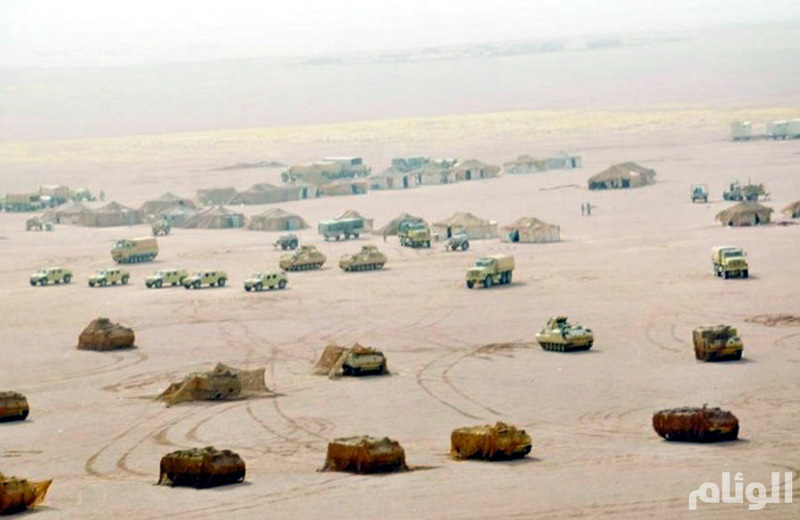 RSLF FNSS ACV-S IFVs and FNSS M113A300 APCs among other vehicles during the exercise. 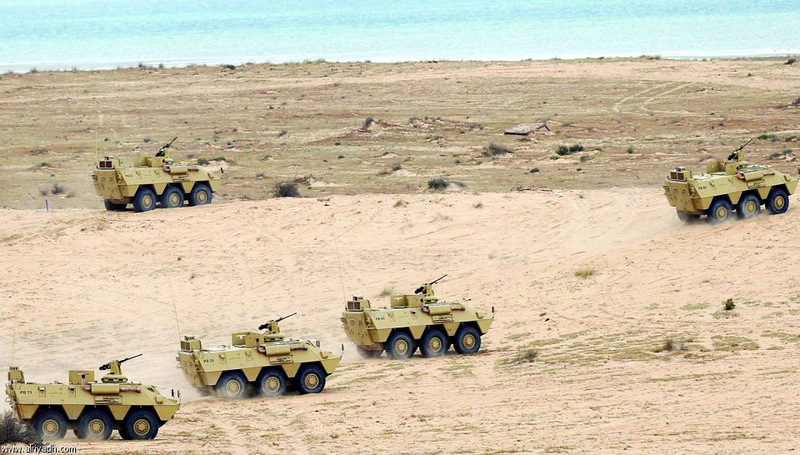 Royal Saudi Marines Pegaso BMR-600 APCs during the exercise. 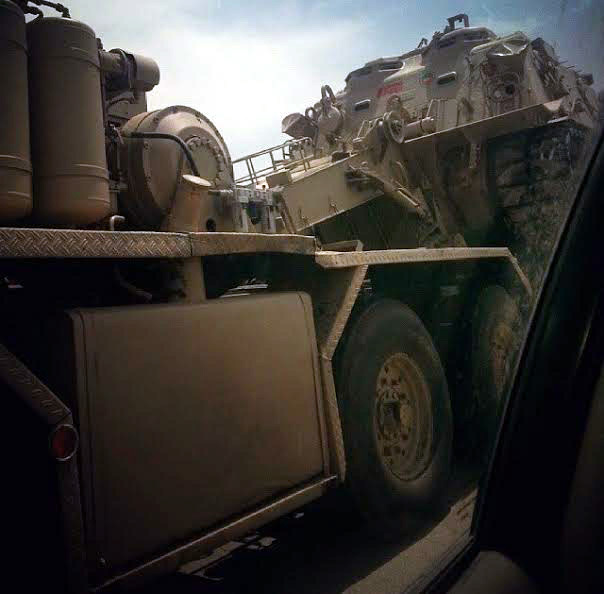 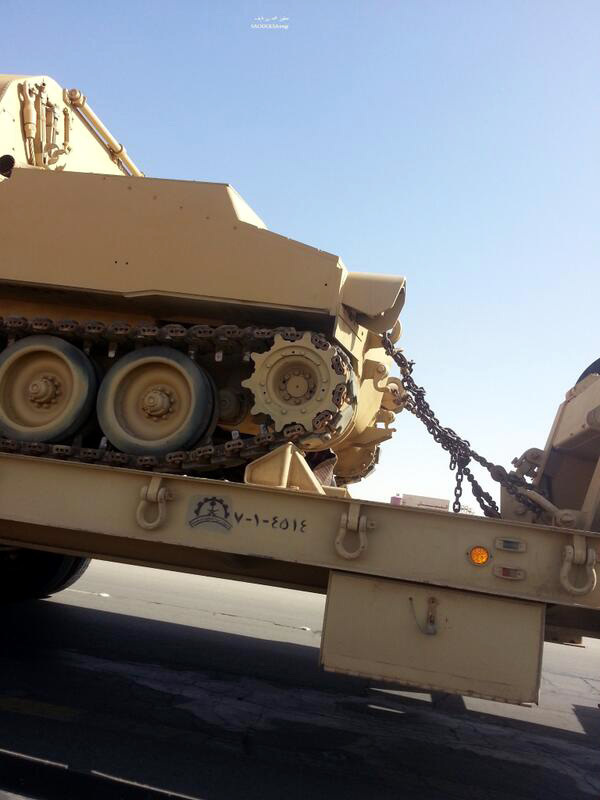 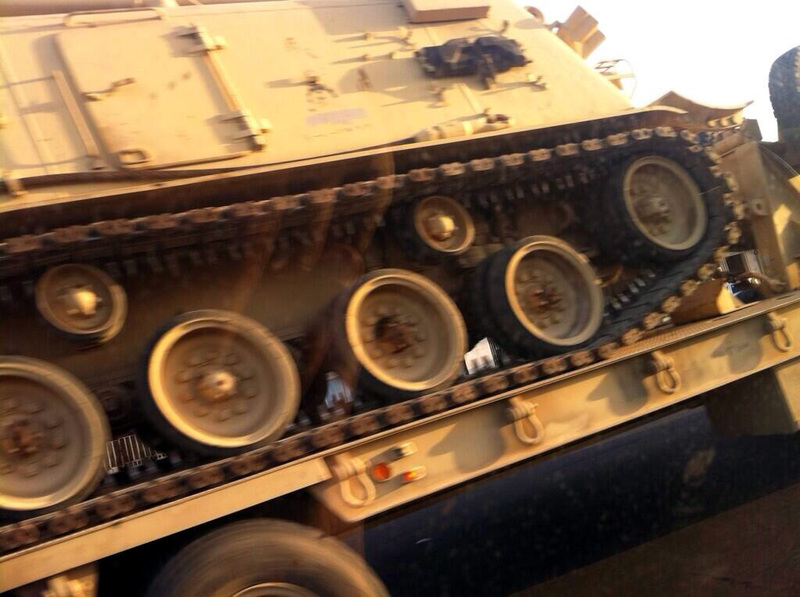 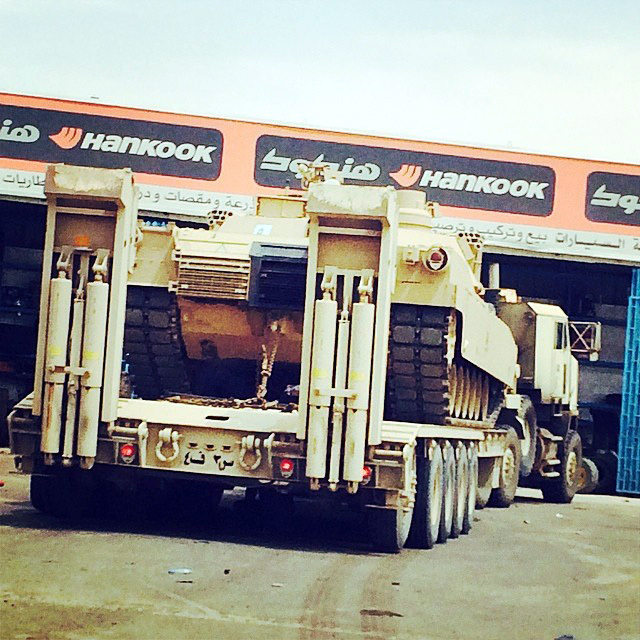 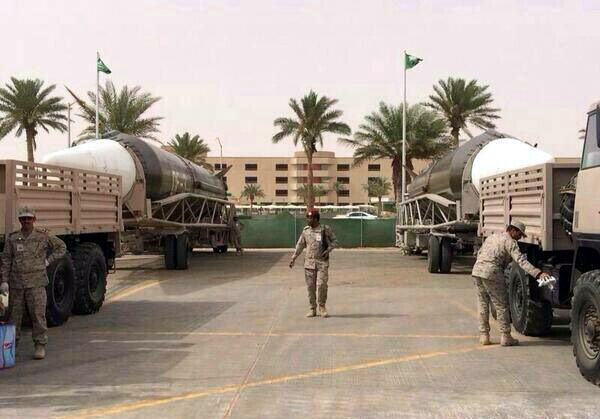 Saudi Arabian National Guard VLRA 1 TPK 6.50 SH trucks during the closing parade. 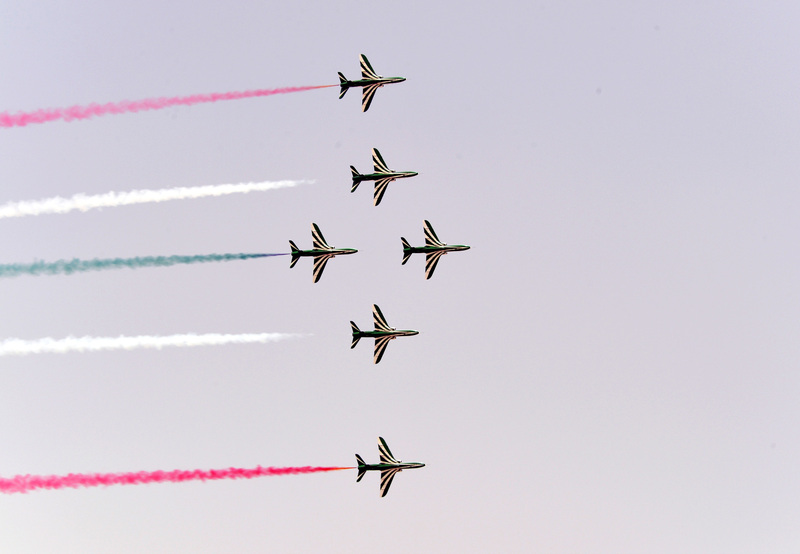 Royal Saudi Air Force Airbus Military A330 MRTT, Eurofighter Typhoon and F-15 Eagle jets during the closing parade. 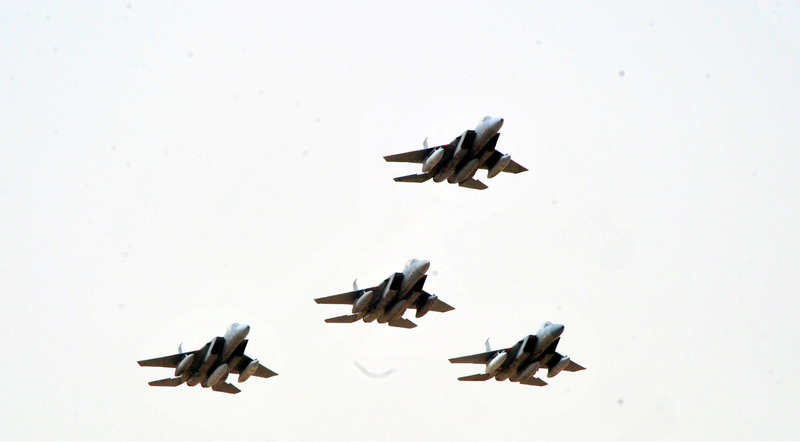 RSAF F-15 Eagle jets during the closing parade. 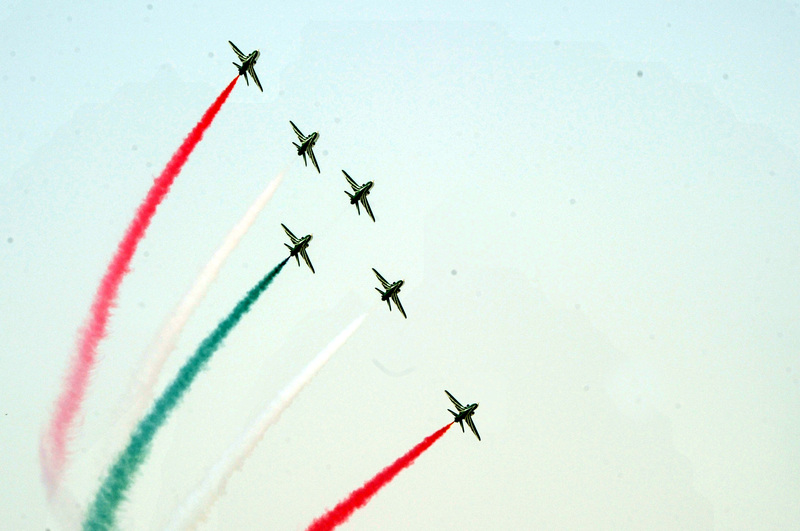 RSAF BAE Hamk 65 jets during the closing parade. 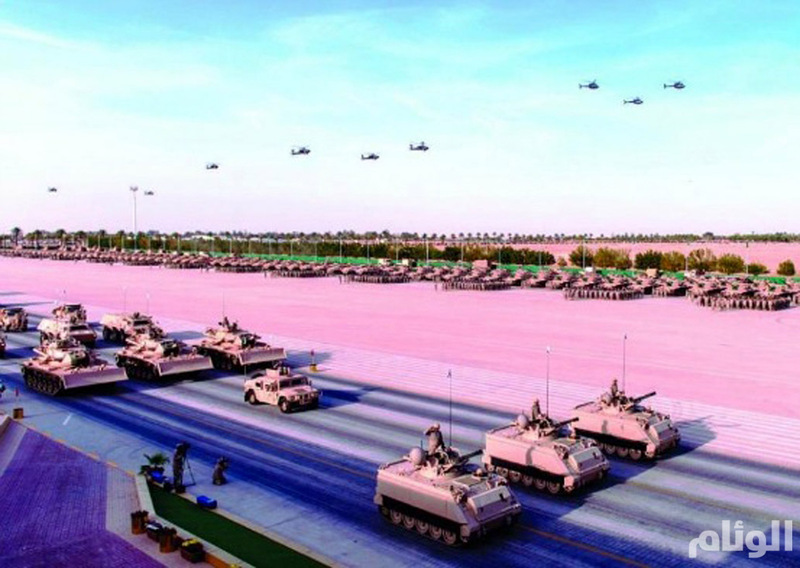 RSAF AH-64 attack helicopters during the closing parade. 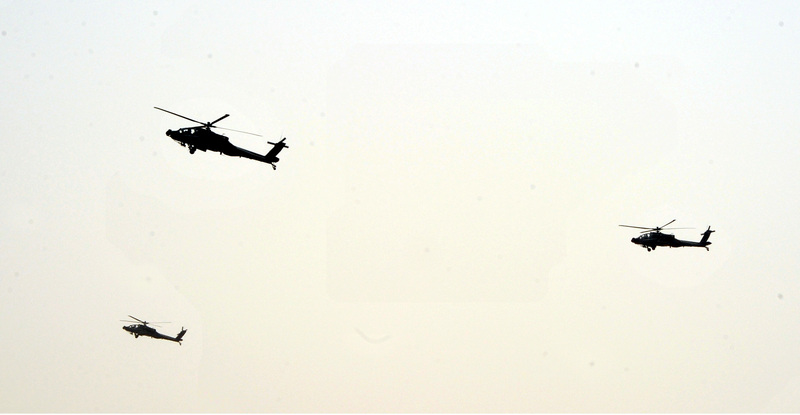 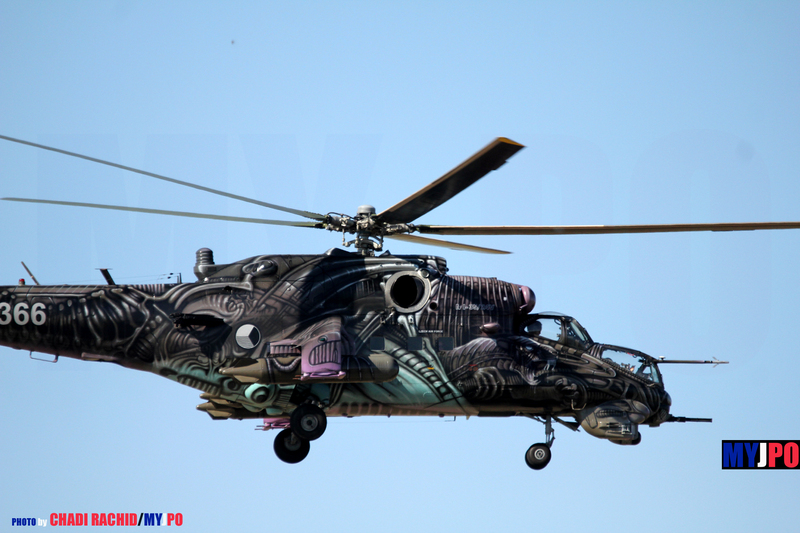 RSLF Sikorsky UH-60L Black Hawk and Bell OH-58 Kiowa helicopters during the exercise. 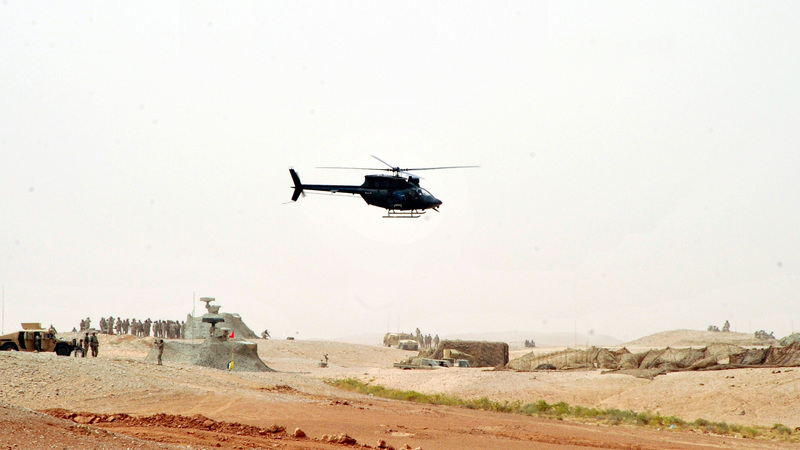 A RSLF Bell OH-58 Kiowa helicopter during the exercise.